Hadley looked outside just a few minutes ago and said....DUCKS! DUCKS!. 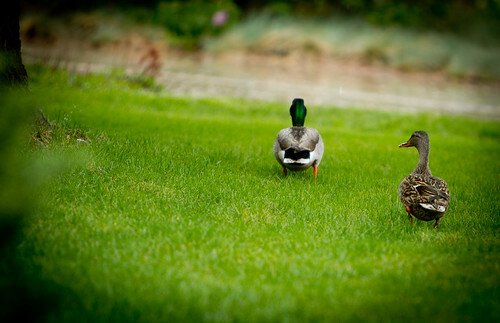 And sure enough, there were two ducks in our yard. It had just been hailing and raining heavily so that may have had something to do with it. OR they are taking advantage of all the big juicy worms crawling out of the saturated soil. In any case, it gave us a nice break from working at home/watching Dora.